These days when I hear a new song or album I always think about whether it is so good that people will feel they need to own it in a way that actually involves paying out hard cash. Most music to be honest is either not that good or not good enough to be worth somebody’s money. Getting somebody to buy an album is hard enough but the days of people going out and buying singles in any quantity are long gone. Huge artists benefit greatly from downloads, though even that is declining and of course streaming, which is currently looking like the way many people are choosing to listen to their music. So when I heard the single There She Is from Be Like Pablo – the only band I can ever remember coming from Forres, though I’m sure I’ll be corrected – my first thought was it belonged to a time when people would rush out and buy the limited seven inch and possibly two limited seven inches with different B-sides. The old days when people bought sometimes three formats of the same single to get different extra songs, which of course did its chart placing no harm. On the plus side each format was often only 99p so all three for less than £3 was a bargain! First and foremost it is a very good catchy pop song but it also has an excellent video by the award-winning company Freakworks. I’m taking that award-winning on trust but it certainly wouldn’t surprise me if this video won awards. It stars the model and actress Jerry-Jane Pears, which itself leaves you wondering how they persuaded her to take the role, as an old high school crush that finds fame and fortune and literally comes to life from magazines and TV screens. Watching on YouTube it is no surprise when finished that it quickly recommends Weezer and possibly the ultimate accolade, Teenage Dirtbag by Wheatus. So a great song, a brilliant video and yet unfortunately you are left wondering in a world where Ed Sheeran inhabits most of the top 20 how it will reach the much larger audience it deserves. By coincidence I nipped out to the local chip shop earlier and took my youngest daughter’s car which had the radio tuned into a commercial radio station. The first song was I assume a chart hit called Paris by Chainsmokers. Not that I recognised it but I remembered enough of the lyrics to google it on my return. Terrible name though. Anyway, the next song was dreadful, generic nonsense that seemed slightly familiar but I couldn’t place it. Hearing the chorus for the second time it finally dawned on me that it was indeed Mr Sheeran with Shape Of You ! There She Is is out this week and there is a launch for the single in Edinburgh at The Mash House on April 22. You can find details on their Facebook page at https://www.facebook.com/belikepablo/. Log on to https://www.youtube.com/watch?v=F3Jy5OL_SPk to see the video. 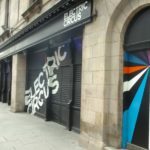 Sad to see the Electric Circus finally close its doors this Saturday. 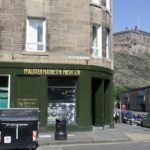 I recently had a long chat with Dennis Chester the owner on the state of live music venues in Edinburgh and as you would expect from a man who has been involved over 40 years he had a great perspective on how things had changed over the years and what if anything was the way forward. The jury is out on whether Edinburgh has too many or too few venues for the number of people who drag themselves from their TV screens to actually go out at night these days but certainly the discussion on the support live music needs will continue as many millions of pounds are poured into sections of the arts far less popular and reaching very fewer people. I think everybody will wish Dennis well in his retirement and thank all who have helped Electric Circus over the years to be one of the city’s best venues. It is isn’t good enough for Edinburgh Council to simply say they want to support music in the city centre they have to actively do so and it will be interesting after the elections to see how that manifests itself. I see that Edinburgh’s King’s Theatre is to undergo a £25 million makeover with £5m to be provided by Edinburgh Council. This it says will secure the theatre’s future for another 50 years. Work will start in 2021 which at the rate things are going will coincide nicely with Edinburgh’s last music venue closing. 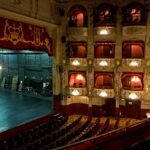 The King’s Theatre you see has played host to the likes of Noel Coward, Laurence Olivier, Maggie Smith, Simon Callow and Ian McKellen while the Picture House having hosted gigs by David Bowie, The Smiths, AC/DC, Queen and R.E.M. was deemed suitable to become a Wetherspoons. There are so many ways now music is recommended to people based on what they have bought or listened to and yet you still cannot beat personal recommendations especially from a shop. Even now I still get asked regularly in emails if I can recommend bands and not always Scottish ones. 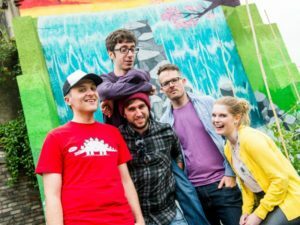 Avalanche is as well known for supporting American bands like Bright Eyes and Neutral Milk Hotel and many Dublin bands including Whipping Boy. We liked New Zealand bands so much we had several on our label and indeed our most successful album was from the band Snapper who have gone on to influence many other bands. However I do still often get given a non-Scottish band and I’m asked if there is a Scottish equivalent or sometimes it is a big Scottish band like Belle and Sebastian or Mogwai and I’m asked for another smaller Scottish band in a similar vein. After last week’s column which namechecked quite a few bands I did receive a few enquiries from folk saying they had enjoyed listening to the bands and could I recommend any more. 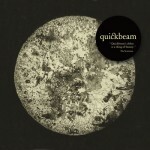 So, in no particular order artists that are maybe less well known but I can highly recommend listening to are Quickbeam, Star Wheel Press, The Savings and Loan, Ballboy, The Scottish Enlightenment, Laurie Cameron and There Will Be Fireworks. I can also highly recommend the Kevin MacNeil and Willie Campbell album Visible From Space. A mixture of genres there and by no means all indie guitar! 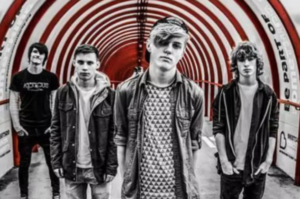 While the current crop of Edinburgh bands are yet to really make their mark, many of their elders from the Edinburgh scene are not far off a decade since their first releases. 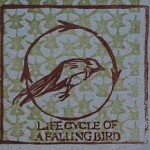 2007-2009 were halcyon years with releases from Withered Hand, Broken Records, eagleowl, Kid Canaveral, Emily Scott, Rob St. John, Saint Jude’s Infirmary and Meursault only the start of a long list. With Saint Jude’s Infirmary now back together, all these artists are still playing and Emily and Rob are currently members of the “supergroup” Modern Studies whose album Swell To Great has garnered some great reviews. 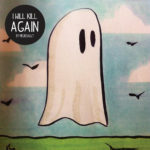 Out only last week was Meursault’s I Will Kill Again the latest from Neil Pennycook who essentially is Meursault. For those unfamiliar with Neil’s work, I would probably recommend 2012’s Something For The Weakened and then working forwards and backwards but the latest album does not disappoint. What does disappoint is that most of the aforementioned artists have not really reached the much larger audience they deserve. Broken Records did sign to indie label legends 4AD and played throughout Europe and America, but generally while all have done well and even toured internationally there is a feeling that they could have done even better. The Scottish Album of the Year Award that will be with us again soon really doesn’t have the reach it should and the annual trip to Austin, Texas for SXSW is a waste of time and money. Other trips and awards, often for the same favoured few are not helped by the fact that mostly those involved by no means represent the best that is on offer, but more those prepared to put in the networking time. While artists of quality like Neil from Meursault or Dan Willson from Withered Hand plough their own furrow while happily nodding to their influences, those who simply want to “make it” will jump from one bandwagon to another as what is left of the UK music industry still look for another View or Biffy Clyro or Chvrches. Currently post-punk is taking the mantle of alt rock and often while bands get the general sound right they simply forget to write any good songs. There is nothing wrong in getting interest in a band by describing them as “like” another band. Avalanche sold many of the Olympic Swimmers first album on the basis they were a cross between the Cocteau Twins and a Scottish Sigur Ros. The thing was they delivered on that promise, as did Randolph’s Leap who I described as having lyrics not out of place on a Belle and Sebastian album. However recently an artist was recommended to me as a cross between The National and the Twilight Sad, two of my favourite bands. I was hugely disappointed that apart from an affected vocal not dissimilar to Matt Berninger the songs were just not remotely good enough. For established bands it is hard to sell more music at a time when people are buying less, and for newer bands just getting established is a dream! There isn’t really enough of a Scottish music industry left to make a difference in the UK, never mind worldwide. Labels and distribution at the core of successful promotion cannot exist if artists can see no further than selling on bandcamp or through PledgeMusic. All credit to the artists I’ve mentioned for surviving the most turbulent ten years the music industry has ever known. 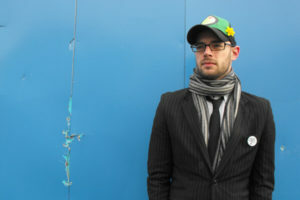 There are a few artists cut from the same cloth gradually coming through, of which Hamish James Hawk is probably the best, and in case you were wondering, imagine if Withered Hand had written songs for Magnetic Fields 69 Love Songs album. He won’t let you down! 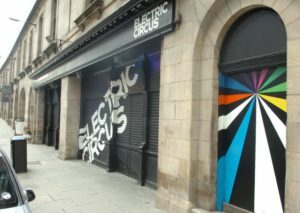 It was sad to see the Electric Circus will now be closing by the end of March, far earlier than was expected. There are a number of factors that are affecting small and medium sized venues and it is hard to see how they will continue to survive without financial support in the same way book festivals, art galleries and cultural publications are subsidised. It has to be recognised that like so many things these days, gig going is popular but not popular enough at the grassroots level to be in most cases commercially viable. I appreciate this isn’t the first time I’ve said this but if something isn’t done and quickly it will just be a case of who will close next and Edinburgh simply cannot afford to lose any more venues. As the British Music Experience prepares to open in Liverpool and a meeting is arranged in Manchester to decide if it should have its own museum celebrating the city it would appear that never has an idea been more relevant but despite fantastic support we are still to find a venue. Creative Scotland gets its fair share of criticism and rightly so, but a lot of the box ticking and methodology behind their thinking is because for a large part they are handing out lottery money and need to tick their own boxes to show that the money has been handed out fairly. What this means to musicians is that creativity comes in a poor third to being well organised and cynical. It also helps to be young. The younger the better! 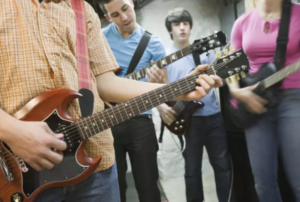 Nobody would argue with giving young people a good grounding in music, but things are skewed way too heavily in their favour. Technology has to a large extent meant that youngsters want things now and preferably for free. Dedicating large amounts of lottery money to making things as easy as possible is not helping them. If a band hasn’t got the gumption to get a few local gigs then they probably aren’t going to make it. I’m all for giving them all the information they need and seeing how they get on, but there is a drawback with that. It doesn’t cost much money! Seriously I have spoken many times to folk involved with helping young people and they agree that giving them the resources to help themselves is more than sensible, but what would they do with all that lottery money? Online is how youngsters get their information and yes you would need somebody to keep facts updated and answer any questions, but it wouldn’t take the numbers currently dedicated to the cause. A further flaw is that once an artist has been backed by funding the inclination is to keep going with them, giving them more funding and more importantly prestigious chances to perform at events either controlled or influenced by those with an investment in seeing their protégées succeed. Even worse is the number of times after bands finally give up that some new reincarnation is then given money too. Lottery funding has been available for some time now and while there have been successful artists who have received funding here and there in their careers, there has been nobody who has come through the system that has had any major success. In London of course going to ‘music school’ has a very different outcome for many and obvious reasons. There are two very clear reasons why young people are basically not good enough. One is that most start off sounding like the artists they like and that is absolutely fine, but those bands need time to develop their own style, not to be given money. Also their experiences are limited and again bland lyrics will be replaced with more insightful ones with age. Unfortunately what this means is that a singer/songwriter or band in their late twenties with a decade of life experiences behind them will be at a big disadvantage to an 18-year-old who just ticks all the right boxes singing about all the right issues. It does seem as if funding methods have changed very little in the last 20 years or so and yet the music industry has changed beyond recognition.We used to sign a form bands gave us saying we would sell their album in the shop because that was one of the boxes they had to tick. That box may no longer exist but it is clear that there needs to be a rethink at the very start of the process when the lottery money is handed out so that the boxes organisations tick and then make those that receive the money tick are relevant to today and not some model that didn’t even work perfectly in the nineties. I say hopefully because of course it has all the potential for the various parties who have an interest to disagree on all the usual topics of design, size, etc leading to a compromise building that takes a lot longer to be ready than was expected. Stakeholders is the word I’ve learnt from my brief forays into other planning matters and it seems to be a rule that whatever is being built there must be some conflict between these stakeholders. The plans do, I admit, seem to have bigger ambitions than I imagined especially for the scale of concerts that might be there but it does look like it intends to cater for gigs of different sizes and that of course will be something that will become clearer once a winning design is picked. It really is the end of an era as the last classical record shop in Scotland has announced it will close. McAlister Matheson which opened in 1991 will finally close its doors on Saturday, March 4 at 5.15pm when Anne McAlister retires. Understandably, even though classical sales have not been affected as badly as others by online retailers as customers still looked for a personal service, she was unable to find anybody to continue the business after her retirement. A week never went by at Avalanche that we didn’t direct somebody to the shop and the staff were well known for their knowledge and helpfulness. Meanwhile there is still time for customers to pop in to say goodbye and pick up a bargain in their extended January sale. 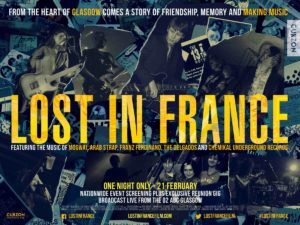 Lost In France is a new documentary by Irish director Niall McCann exploring the rise of Scotland’s independent music scene in the ‘90s, led by cult label Chemikal Underground. Featuring The Delgados, Bis, Mogwai, Arab Strap, Franz Ferdinand and many more there is a one-off opportunity to see the film followed by an exclusive reunion gig broadcast live from the O2 ABC Glasgow on February 21. With a supergroup consisting of Alex Kapranos (Franz Ferdinand), Stuart Braithwaite (Mogwai), RM Hubbert plus the Delgados’ Emma Pollock and Paul Savage it is not to be missed and tickets are available from both the Cameo Cinema and the Odeon Edinburgh Wester Hailes at http://www.lostinfrancefilm.com/showtimes/. With regard to the proposed hotel for the Old Royal High School or my recent foray into popular music’s artistic worth compared to the visual arts, Edinburgh’s “chattering classes” is a phrase that has cropped up again and again when discussing those that oppose the hotel at all costs and consider any piece of visual art to have far more value than any Frightened Rabbit album. If not the chattering classes then it is Edinburgh’s “intelligentsia”. Wikipedia’s definition of the chattering classes certainly described those I’ve stumbled upon from time to time. “The chattering classes refers to a politically active, socially concerned and highly-educated section of the ‘middle class’, especially those with political, media, and academic connections.” There is no doubt that within Edinburgh there is a relatively small number of people who think they know what is best for the city in all aspects of art and culture. Now I don’t think it is in any way elitist to take more seriously the view of somebody who has studied all the relevant documents and decided to support the music school than somebody who wants a six star hotel because they might get to see George Clooney. Having said that, I seriously doubt that all the celebrities that have spoken in favour of the music school have studied all and possibly any of the detailed arguments for and against before pledging their loyalty. The hotel proponents love their surveys showing public support which seems to fly in the face of the active opposition, but active is the key word here. What you have is an active minority versus a silent majority. Both sets of figures make sense in that context where a couple of thousand people may not want something but hundreds of thousands silently are fine with it. The gap is just as wide when it comes to interest in popular music and the visual arts. The difference here of course is that you can support both and most artists and those who appreciate art do indeed also enjoy music though not necessarily always of the popular kind ! Art galleries, I’m told ,need to be free and heavily supported with funding or they wouldn’t be remotely viable. Popular music though despite now being so widely available for free deserves no such support on the same scale. That live venues are struggling all over is well documented. Independent Venue Week that has just finished highlighted this. Like art galleries they attract people – just not enough people – and yet a subsidy would never be considered. Much of the informed comment I have received has come from those who are both visual artists and musicians and all confirm there is an overwhelming bias towards supporting not just the visual arts but in a way the less popular visual arts. Illustrators for instance should make their own way but paintings that need an explanation just to know what they are – they need support! Popular does not mean less worthy and as circumstances change in the music industry there needs to be a serious discussion about how the limited amount of funding for the arts is allocated. It is hard to imagine how much good work could be done within the music sector if it received the millions of pounds that can be given to an art gallery. 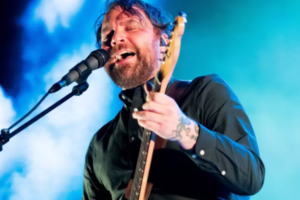 Scott Hutchison of Frightened Rabbit is also an artist and may well argue the case for both sides, but personally I think their album The Midnight Organ Fight is an important work of art ranking with many artworks hung in galleries. That the album uses Scott’s own artwork for the cover only reinforces the point that maybe it is time art galleries embraced all art and not just what the chattering classes deem to be of worth. News that HMV in Canada is closing all of its 100-plus shops does not bode well for HMV in the UK, but circumstances are different. In the UK HMV’s short term leases mean they can close shops as soon as they are showing a loss. Others move to cheaper units, often in shopping centres, to reduce overheads. It is however clearly a losing battle in the long term and you can’t help but feel it is death by a thousand cuts. With all the HMVs in Ireland also closing last year it can really only be a matter of time before the UK shops follow. 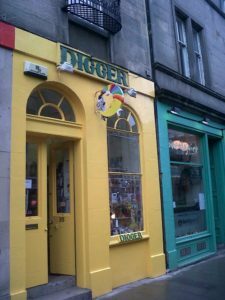 Many years ago when Avalanche was in West Nicolson Street and the internet and websites were in their infancy we had a lovely gift shop called Diggers next door. I went in one day and found a pile of small boxes on the desk that served as a counter and next to the pile a collection of leaflets. Intrigued, I asked what was happening and was told that just recently the boxes had started to have these small leaflets added saying if you like this gift you can find more on our website. Now the owners would spend many hours and indeed days travelling to source unique gifts you might not find elsewhere and would always have a range of whatever the particular artist or maker had to offer. If you liked something you could be sure to go back and find more. So as not to lose business to the fledgling internet every box had to be opened and the leaflet taken out. Later, as websites became more common even the distributors would advertise you could buy directly from them and when the details started being printed on the boxes then there was nothing more that could be done. Repeat custom was a big thing for Digger so while it made little sense for the many students nearby at Edinburgh University to go to all the trouble of buying online when they could just nip into the shop it did look like the start of a slippery slope. I did however console myself with the fact that it would never work with music. So much of what we sold was a result of playing music we thought our customers would like in the shop or from recommendations based on a customer’s taste in music. That did not translate well online. Yes people could listen online but even in the early days the choice was vast rather than the curated playlist of a record shop. Recommendations online were even worse. At the time if you bought a U2 album the site recommended you bought another U2 album ! Even now while recommendations have greatly improved they tend only to work well within a genre. Similarly if bands and labels started putting in leaflets saying buy our next album directly then surely shops and distributors would never stand for it and more importantly what would be the incentive to promote that first album? I was of course spectacularly wrong and right at the same time. The amount of music available to listen to online is now overwhelming and nothing has successfully replaced the ability of a good record shop to break a new band. On the other hand the “buy directly” part has expanded hugely from a simple leaflet to offers of exclusives to social media promotion to sites like PledgeMusic. Even so, this still only works well for established artists. While shops and distributors now regularly only sell ten per cent of what might have been expected in those simpler times they accept the scraps and say nothing. Nobody is ever going to say “Hey Radiohead, you’ve done everything you can to sell your new album to your fans directly, we’ll just give it a miss.” I know several record shop owners who being big Radiohead fans had to buy the limited box set from the band! The numbers are so small now for new bands that they never really get to take off, never mind make that important second or third album. Radiohead would not want to be judgeded on Pablo Honey! Labels meanwhile may be taking business from shops but all but the biggest still struggle to survive and cannot invest in new talent themselves. 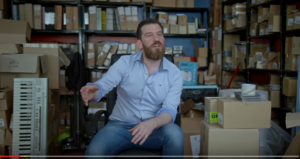 Stewart Henderson of Chemikal Underground, one of Scotland’s finest and established labels, makes all these points very eloquently in the new documentary Lost In France, which takes a look at the indie music scene in Scotland in the 1990s (check out https://www.youtube.com/watch?v=VcnYTK0AuCQ). The current way of things doesn’t work on so many levels. Why would a shop retweet a band when their bio then links to their new album – often with something extra not available in shops. It is the more recent equivalent of when bands would go into a shop asking if they could put their album launch poster in the window but not bring any albums for the shop to sell. Many in the music industry now describe the current situation as unbalanced. A more accurate description would be broken. I’m so used to well organised bands being rather dull and the interesting bands being, for want of a better word, disorganised that when I returned a follow by Glasgow via Hamilton pop-punk band The Double Standards and then received a direct message thanking me for the follow I immediately started to assume the worst. However if pop-punk is your thing they do it very well, hardly breaking any boundaries, but that isn’t really what pop-punk is about. They do a decent cover of Neck Deep’s A Part of Me, and Kimono Girl sounds like a good cover but appears to be original but hey what do I know, it’s probably a Blink-182 b-side. The drummer describes them as a generic pop punk band so a sense of humour too. You can listen here https://soundcloud.com/user-496632661. You can also find them on Twitter @TDS198 or Facebook at https://www.facebook.com/TDS198. You are currently browsing the avalanche records blog archives for March, 2017.